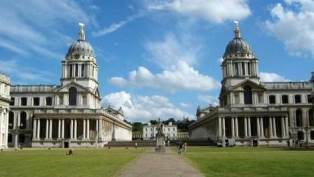 First WINIR Conference held at the Old Royal Naval College, Greenwich, London (UK), from Thursday 11 to Sunday 14 September 2014. The conference theme was "Institutions that Change the World". 187 delegates from 37 countries. First WINIR Symposium held at Università della Svizzera italiana (USI), Lugano (Switzerland), from Wednesday 22 to Friday 24 April 2015. The symposium theme was "The Nature and Governance of the Corporation". 84 delegates from 20 countries. Second WINIR Conference held at Hotel Windsor Atlantica, Rio de Janeiro (Brazil), from Thursday 10 to Sunday 13 September 2015. The conference theme was "Institutions, Development and Globalization". 203 delegates from 38 countries.